Hiring a web design firm is one of the most important aspects of creating a website that is functional and delivers relevant traffic. With new technology and search engines using different techniques to rank websites, it is important to find a web designer that is up-to-date on all the latest trends. 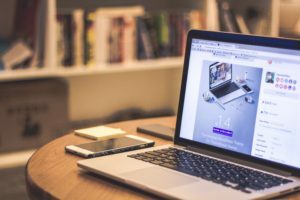 At first, you may have thought about saving money by creating your website, until you realized it is not as easy as it seems. Although website design itself is not that difficult thanks to the many do-it-yourself programs, to have a successful website there are many strategies one must employ. It is most important to hire an expert web designer if you plan on using your website for business purposes. Since you are most likely spending the majority of your time running the business, it can get difficult finding the time to create a website and optimize it properly for the search engines. A web designer today must not only be familiar with creating websites, but they need to know a lot about search engine optimization, social and digital media as well as all of the latest trends with regards to your business. Thankfully there are many full-service marketing firms out there that understand the importance of the latest successful strategies to help position your business at the top of the search engine rankings. One of the main reasons to create a website that is optimized for the search engines is to draw in relevant traffic. You want people who have interest in your products and services. Otherwise, you will get people who are just eating up your bandwidth. When consumers go online searching for information or products, you want your website to appear at the top of the search engines. The higher your ranking, the more relevant traffic you will receive. A good web designer understands all the latest trends and knows what keywords people use to find the services that your business offers. Web designers must also be very aware of how social media plays an important role in driving traffic to a website. They should be able to integrate social media into your website to help get your brand name out there. There many different social media platforms today that you can use to build your brand and also connect with potential customers. Try to find a web designer who can help you establish your presence on the internet. They must know all the latest trends, what keywords to use on your website, and of course how to design a clean-looking site that is easy to navigate and appeals to your audience. It may take a bit of trial and error before you, and your web designer figures out what works best. The main reason for this is that technology is changing very rapidly and consumers are constantly using different keywords. Hiring a good web designer should be a top priority since you are probably very busy running your business. Make things simple by hiring a full-service marketing firm that specializes in web design, search engine optimization, and social media integration. If you can find a person or company that can do that for you, it is half the battle towards being successful online. For more info on our company please visit our website at https://www.billraup.com/philadelphia-seo/ and YouTube Page – Website Design in Philadelphia.